BBC Studios has unveiled the first of the new toy ranges for Doctor Who series 11. Ahead of San Diego Comic-Con, licensee Titan has produced two limited-edition 6.5″ vinyl collectibles based on Jodie Whittaker’s new Doctor. Its new regular Thirteenth Doctor figure and ‘Kawaii’ figure will both be launched at SDCC 2018, at BBC America booth #4129 and Titan Entertainment booth #5537. Post-Comic-Con, the figures will be available to buy from Forbidden Planet in the UK, and from Hop Topic and the BBC Shop in the US, with the stores taking pre-orders from Monday, July 23. 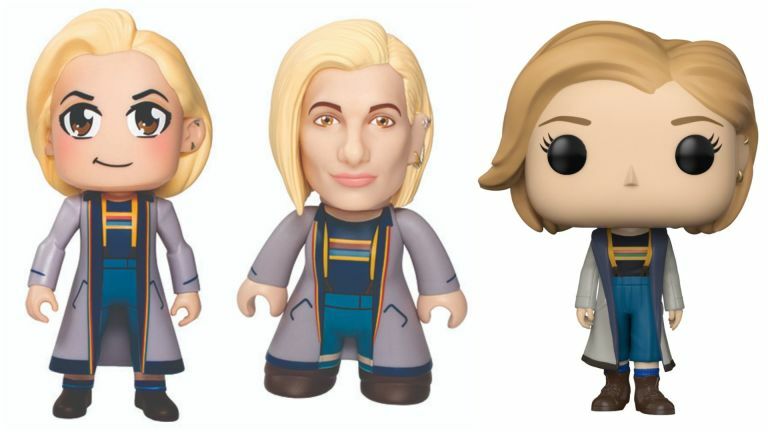 From Funko, the Thirteenth Doctor ‘Pop!’ figure and the Thirteenth Doctor ‘Rock Candy’ figure will also be available at SDCC, at BBC America booth #4129 and the Funko booth #5341/5347, and from stores in both the UK and the States later this year. But if collectibles aren’t your thing, Her Universe is debuting a version of the Thirteenth Doctor’s new outfit, which will be available at SDCC at Her Universe booth #1321 and later this year at Hot Topic stores. Cosplay sorted! 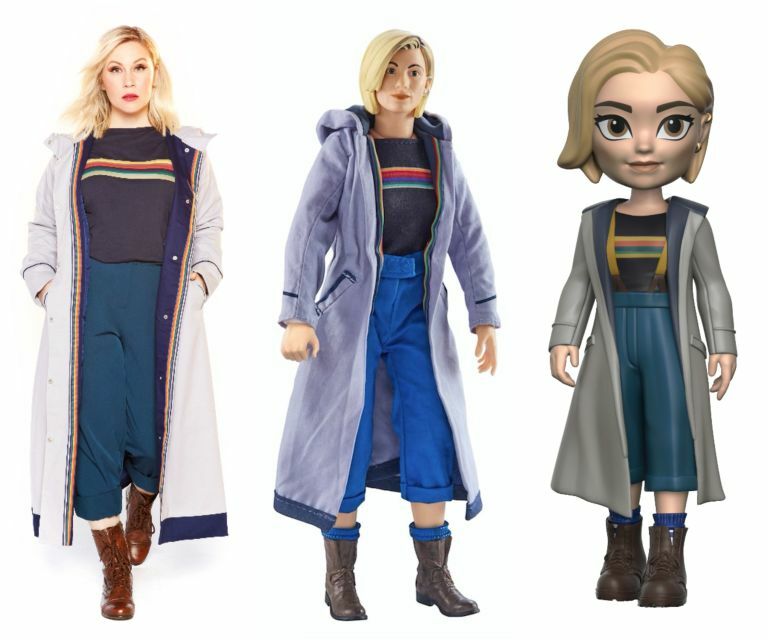 Outside of SDCC – because not everyone gets to go – toy manufacturers Character Options will also be releasing their own 10″ Thirteenth Doctor action figure, with real fabric clothes and… a new Sonic Screwdriver accessory! Pre-orders for the figure start from today – it won’t be on sale in San Diego, so for more info, visit www.character-online.com. Doctor Who‘s panel at San Diego Comic-Con will be held next Thursday, July 19 at 11.45am PT – that’s 7.45pm in the UK – and will see Whittaker joined on stage two of her co-stars, Tosin Cole and Mandip Gill, who play Ryan and Yasmin, as well as showrunner Chris Chibnall and executive producer Matt Strevens. The series is expected to return to BBC One and BBC America in October.